Asian Allies Refrain From Comment on Upheaval in Trump’s Security Team - Integration Through Media ....! 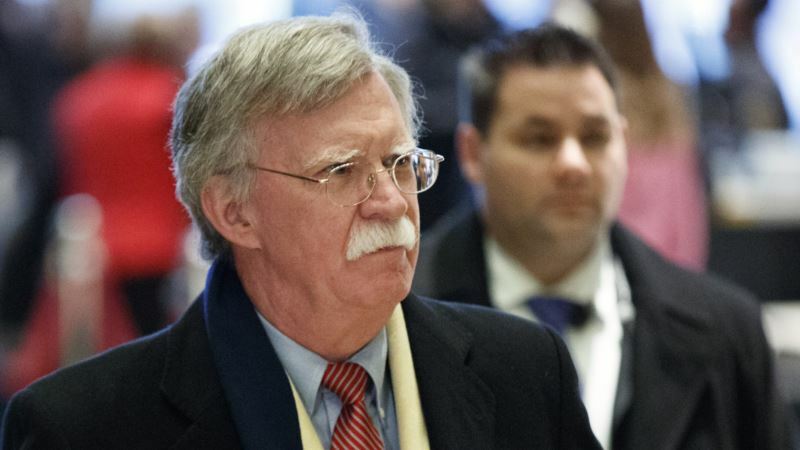 (VOA): The announced appointment of John Bolton, who has advocated for preventive military strikes against North Korea, to become the U.S. national security adviser has drawn muted reaction from key American allies in Asia. South Korean President Moon Jae-in strongly opposes any use of force on the Korean Peninsula and been actively involved in facilitating diplomatic talks between U.S. President Donald Trump and North Korean leader Kim Jong Un to peacefully resolve tensions over the North’s threatening nuclear program. When asked about the Moon administration’s reaction to the appointment of Bolton, a senior presidential official on Friday said, “Our stance is that if a new road opens, we have to go that path.” The unnamed official who spoke to the local media on background also noted that Bolton is knowledgeable about the issues regarding the Korean Peninsula and seems to have the trust of President Trump. Japanese Prime Minster Shinzo Abe is seen to be more closely aligned with Trump’s “maximum pressure” campaign to force North Korea to give up its nuclear arsenal using economic sanctions and the threat of military force. The Japanese Cabinet Secretary, Yoshihide Suga, declined to make any substantial comment on Bolton replacing H.R. McMaster as the U.S. president’s security adviser. “I would like to refrain from commenting as it is a matter of a foreign government’s personnel movements, but we have a close exchange of opinions with the United States government, both between Prime Minister Abe and President Trump and at an official level, so I don’t think any particular bad influence will emerge,” Suga said Friday. Bolton, who was Under Secretary of State for Arms Control and International Security from 2001-2005, is regarded as a hard-liner and interventionist on matters of foreign policy and defense. He supported the U.S. invasion of Iraq in 2002 and has called for military action against Iran and North Korea. The Trump administration has vowed to stop North Korea’s efforts to develop a nuclear-armed intercontinental ballistic missile (ICBM) that can target the U.S. After a November missile test, Pyongyang said it had achieved ICBM capability but independent analysts say North Korea still requires further tests to work out missile re-entry. Writing in the Wall Street Journal in February, Bolton argued in favor of the U.S. taking pre-emptive military measures to eliminate the “imminent” ICBM nuclear threat. “We should not wait until the very last minute. That would risk striking after the North has deliverable nuclear weapons, a much more dangerous situation,” he wrote. This year the Kim government pivoted to a more cooperative posture by participating in the recent winter Olympics in the South, by agreeing to engage with Washington and Seoul, and by suspending further provocative tests, at least while talks are under way. Trump too took a surprising turn by agreeing to meet with Kim in May to try to work out a complete, verifiable and irreversible agreement to dismantle North Korea’s nuclear weapons program. Some regional political and security analysts worry Bolton will be an undermining force in the summit who will push for uncompromising concessions from Pyongyang. Pyongyang has not commented on the Bolton appointment, but in 2003 North Korean state media called him “human scum and bloodsucker” for criticism he made of then leader Kim Jong Il’s human rights record. North Korean officials would not recognize him as a representative of the U.S. government or talk with him because of his “political vulgarity and psychopathological condition,” state media said at the time. But Grant Newsham, with the Forum for Strategic Studies in Tokyo said the change to Bolton from McMaster, who also viewed North Korea nuclear advancement as an existential threat, will not be that drastic. However, he said, Bolton will, perhaps more strongly than McMaster, clearly oppose giving away any concessions or reductions in sanctions in exchange for meaningless promises, as was done before. “You will find the United States is not, as it has been in the past, going to be willing to be played off by the North Koreans,” Newsham said. There had been speculation for some time that Trump was looking to replace McMaster, who will retire after serving 34 years in the military, with Bolton, who the president reportedly feels more comfortable with. Bolton was also mentioned as a possible secretary of state after Trump’s surprise election victory in 2016. The replacement of McMaster with Bolton follows the recent firing of Secretary of State Rex Tillerson, who is being succeeded by Mike Pompeo, currently the director of the Central Intelligence Agency.